In order to adjust the tensile force and the direction of the dynamic traction as accurately as possible, an elastic is used which is attached to an outrigger. 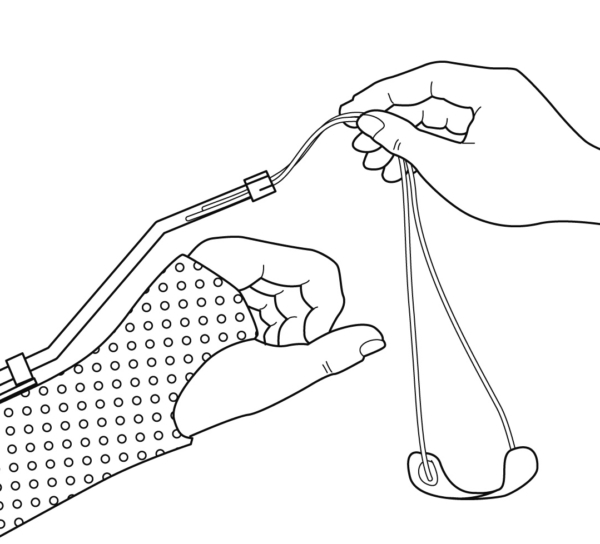 One speaks of a horizontal profile when the elastic runs parallel to the longitudinal axis of the hand via a directional pulley perpendicular to the finger. One speaks of a vertical profile when the elastic is directly attached to the outrigger. 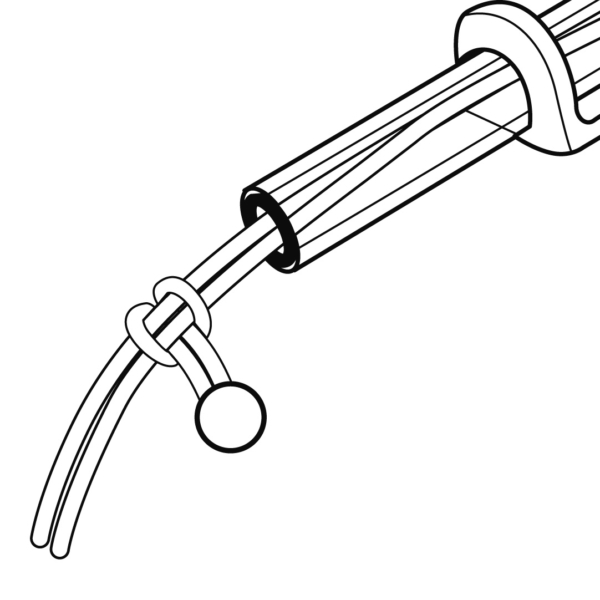 A low profile is when the directional pulley lies close to the finger, and a high profile when the reverse is the case. Both have specific indications. The tensile strength of the elastic is optimal whenever the angle of incidence lies at 90° to the limb. Generally, the tensile strength is meant to improve the starting position. Whenever the starting position has effectively been improved thanks to the splint treatment (for example: increased extension) the suspension point of the elastic must be pulled back proximally in order to recover the 90° angle of incidence. The Orfitube enables the outrigger and the directional pulley to be fitted in a single operation. Push the nylon rod provided into the Orfitube up to the point where the tube must be bent. 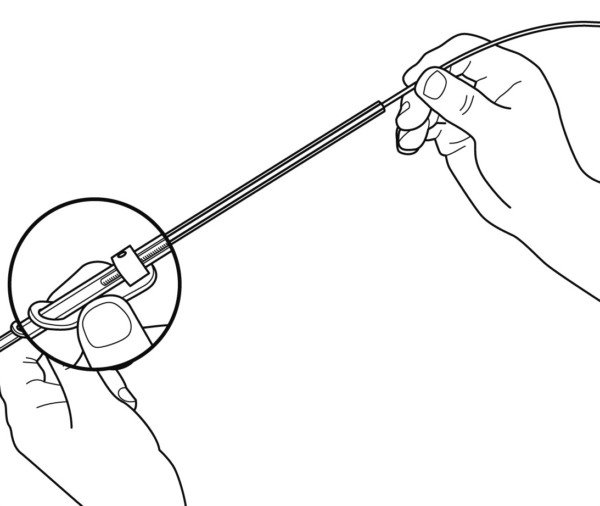 The nylon rod prevents the Orfitube from snapping close when the latter is being bent. Bend the tube into the desired shape by hand or with a tube bender, removing the nylon thread each time from the different bends. … and place an Orfitube cap at the free end. 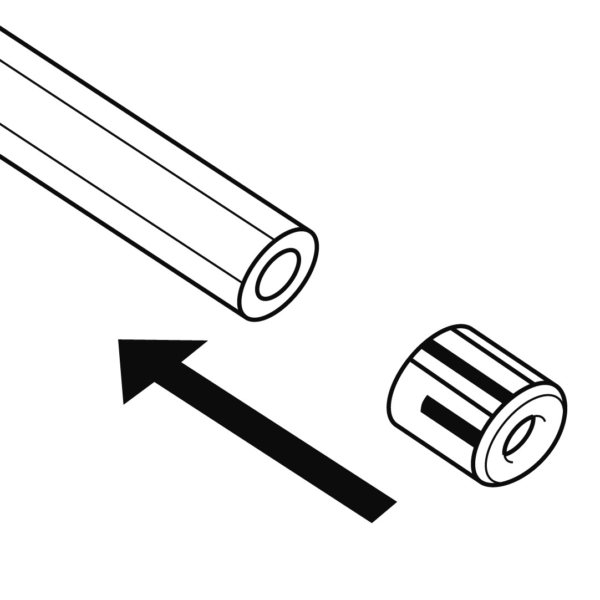 Place a Single Orfitube Adjuster at the desired location. 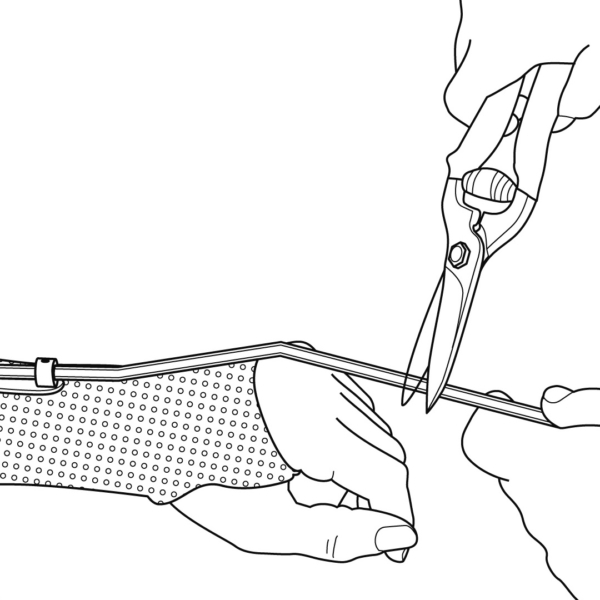 Introduce the elastic with finger cuff through the Orfitube®, distally to proximally, and make a gliding knot with a stop. 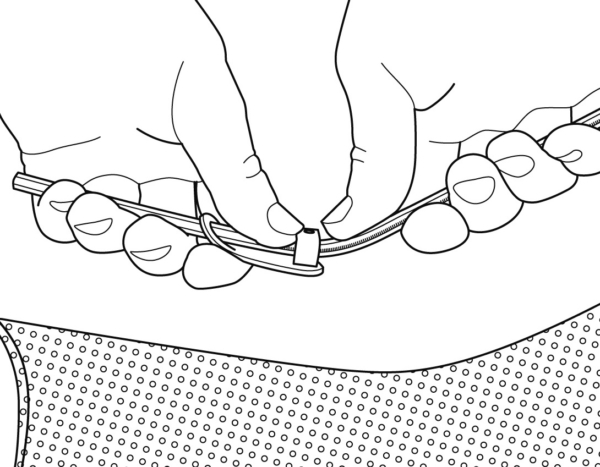 This allows the tension of the elastic to be easily adjusted.